If you are alive, you’ve known and felt fear at some point perhaps even daily. For me, fear cleverly laid a foundation in my life, taking on the feeling of complacency, the need to be in control, and at times landing physically in my stomach, shoulders, and hips. I knew even then that this wasn’t optimal living, but didn’t know the way out from under this way of being. Until last year, when I learned the truth about fear. As a member of a business coaching group, I participated in a workshop on “the psychology of fear,” and learned about fear’s many disguises. To my surprise, I learned my habit of putting things off until the last minute and telling myself that if I had had more time the outcome would be different, better, complete were fear-based thoughts I chose to place within me as the truth. In fear’s clever grip, listening to these fear-based thoughts did nothing to benefit my life. Instead, I missed out on opportunities, learning, and personal growth. Today, how I navigate my thoughts is completely different than my time-worn habit of believing and doing nothing and wearing myself out with negativity. I have the skillset to recognize and see my thought triggers and the ability to reframe to truer and more proactive stories of what is really taking place. Yes, fear is real, and yes our brain wants to protect us by allowing us to seek safety in the form of comfort rather than discomfort. But most of us are not in deep fight or flight danger, needing to run and obey the voice of fear in order to escape! 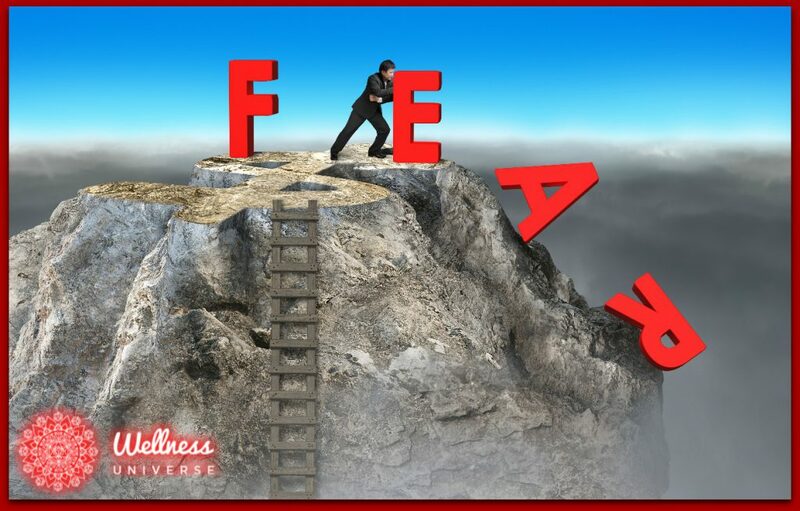 Here is what I’ve learned about fear, plus some practical steps you can take right now to reframe your own mindset and approach toward fear. Be present with what you are feeling in your body, and what is taking place with your inner dialogue and physical sensations. When I was in the process of learning how to lead a yoga class as a rookie teacher, I was both physically and mentally nervous, my body felt tight and my voice shook. I had the skillset to lead a full class and was prepared to teach but fear of losing my place and simply forgetting due to nervousness took center stage. Had I known then what I do now I could have reframed this as my desire to lead from my heart with love which would’ve put my nervousness in its place behind all the good I had to do! This one is both transformative and painful at the same time but in the best of ways! Give yourself a quiet space to dig deeper into these negative and unsupportive thoughts to get to the “root” of the thought (“where is this really coming from?”) and through this introspection find your truth. The result of this exercise is the ability to know and own your truth. Affirmations are good to use in any situation where you would like to see positive growth and change in your life. Affirmations are short positive statements. You can use your affirmation(s) when you want to control negative thoughts, raise your confidence and reframe your thought patterns! Fear is nothing more than a feeling and does not have the ability to control you or an outcome. This is your time to take charge of what may be holding you down or back and move forward with courage into the truth of who you really are! How did this article make you feel? Leave your comments for Nancy below. Please share this if you liked it. Thank you! Hello! Nice to meet you. I work with busy working women who want to have a balanced life but struggle with making themselves a priority. Together we create a plan for work-life-balance that is easy and achievable so they can feel energized and in control again. It is my honor to guide and serve!